The annual Down East Spring Birding Festival provides a unique birding experience during spring migration and the breeding season with four days of guided hikes, boat tours, and presentations, all led by local guides with local knowledge. The Department of Inland Fisheries & Wildlife has named the Down East Spring Birding Festival one of the best in the country. 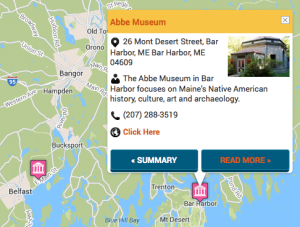 While birding, festival participants will enjoy the tranquility and great natural beauty of Down East Maine’s Cobscook Bay area. The region sports the greatest variety of habitats on the East Coast, including boreal and northern hardwood forests, bogs, fresh- and salt-water marshes, grassy and shrubby fields, streams and lakes, steep rugged headlands, extensive tidal flats, and coastal islands. The Cobscook Bay area is home to numerous year round and migratory birds. 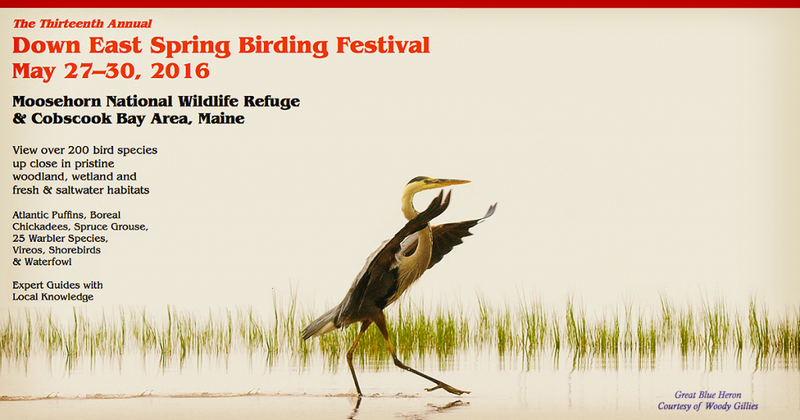 Over 400 bird species have been sighted in Maine. Almost three-quarters of those species have been sighted here.